Complexity is not always a good thing. Imagine if your sword frog was too complex and it caused your blade to get stuck! That is why this Simple Leather Sword Frog is such a great addition to your attire, as it allows you to easily draw your weapon! The style of this sword frog is sleek and effortless, featuring a rounded tube attached to a generous belt loop. 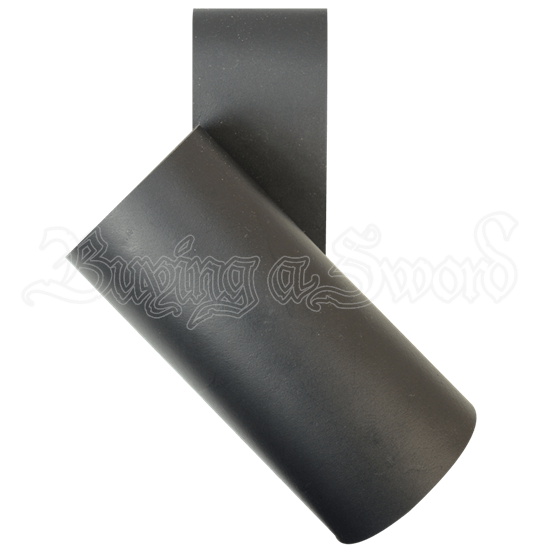 The tube acts as a perfect catch for LARP swords of all different shapes and sizes, while the belt loop fits most belts with ease. The frog also offers a 3 inch wide mouth so that it fits all but the biggest of sword blades and weapon hafts. Essentially, this Simple Leather Sword Frog is a subtle yet great looking accessory, as well as a must-have for anyone who wants to keep their weapon with them at all times!